The song offers glimpses of how Holi is celebrated up north in India. A lovestruck Akshay Kumar asks Bhumi Pednekar to hit him with a ‘Latth’ for all the problems he caused. Check it out in the video above at 01:33:21. Badri ki Dulhania song from Varun Dhawan and Alia Bhatt’s film Badrinath ki Dulhania will get you grooving instantly! A superhit festive celebration, it is a 10/10 if you ask us. Lata Mangeshkar’s soul-stirring melodious voice coupled with the charm of the era gone by, Piya Tose Naina Lage Re is a classic number. It is a must-have in your playlist! The colourful and masti-bhara video of Balam Pichkari starring Ranbir and Deepika is hands down a foot-tapping number. Repeat those signature steps and enjoy the chemistry with your loved one! To not include Amitabh Bachchan’s Rang Barse would be titanic of a mistake! The popular song from Kabhi Kabhie film is pure gold and gets you in the mood for the festival in like a blink. Check out all the behind-the-scenes action at the Holi Special episode of Sa Re Ga Ma Pa Li’l Champs 2019 here. 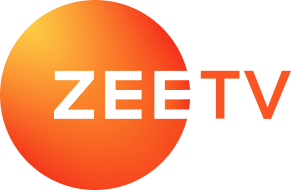 You can now watch your favourite movies on ZEE5 anytime, anywhere!